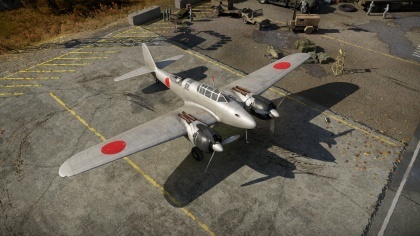 The J1N1 is a rank I Japanese twin-engine fighter with a battle rating of 1.7 (AB), 2.0 (RB), and 2.3 (SB). 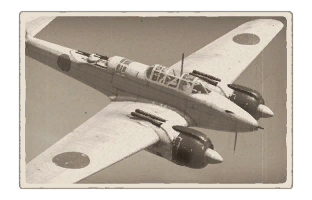 This aircraft was introduced in Update 1.63 "Desert Hunters". 713 350 ??? ~?? ~? 8.5 mm Steel plate behind the Pilot. Describe the history of the creation and combat usage of the aircraft in more detail than in the introduction. If the historical reference turns out to be too long, take it to a separate article, taking a link to the article about the vehicle and adding a block "/ History" (example: https://wiki.warthunder.com/(Vehicle-name)/History) and add a link to it here using the main template. Be sure to reference text and sources by using <ref>, as well as adding them at the end of the article. This section may also include the vehicle's dev blog entry (if applicable) and the in-game encyclopedia description (under === Encyclopedia Info ===, also if applicable). This page was last edited on 22 April 2019, at 14:54.